Logging your travel experiences on a website is like storing a beautiful memory of your life. Travel WordPress themes are specially designed to update your day to day travel data as blog post easily and effectively. Mapping your travel locations are possible in some themes with location details and time of visit etc. Use your iPad, iPhone or any android phone to write exceptional articles of your adventurous experiences. Tourists are the best benefited with these kinds of themes which let them update their interesting activities and then share all over the social network in style. Tourist guides, on the other hand, have an opportunity to catch clients with a clean booking facility and details of the trip along with jaw-dropping photographs of the location. Since these below WordPress themes are Travel oriented you may find it easy to add schema microdata and rich snippets without much issues. 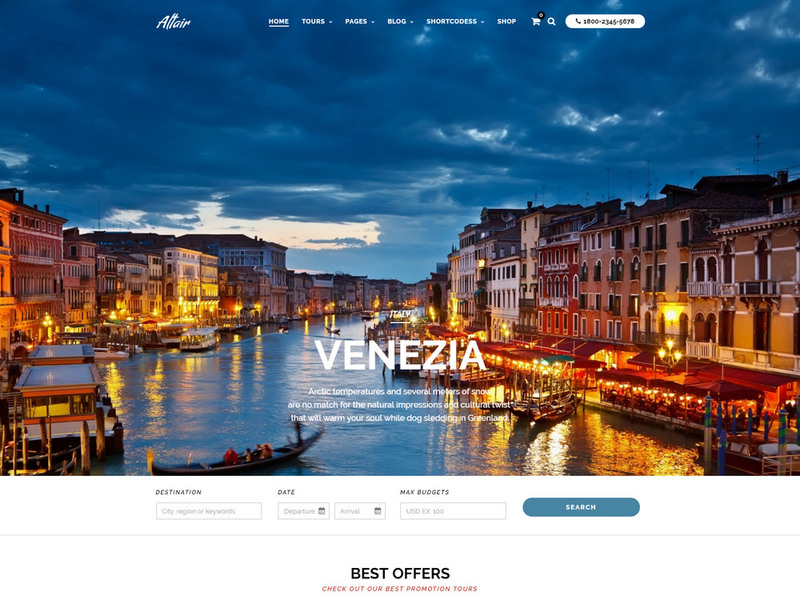 People who live their life to the extreme with a great lifestyle, gadget freaks etc and those who are always aware of the need of a travel website in their personal list of accessories will benefit greatly from this below WordPress travel themes. Travel themes can be portfolio or magazine based or business style it just always end up with the choice of the user and what he/she thinks is best. Browse and pick one travel theme that you really like and want to incorporate it for your personal blog or for agency business. 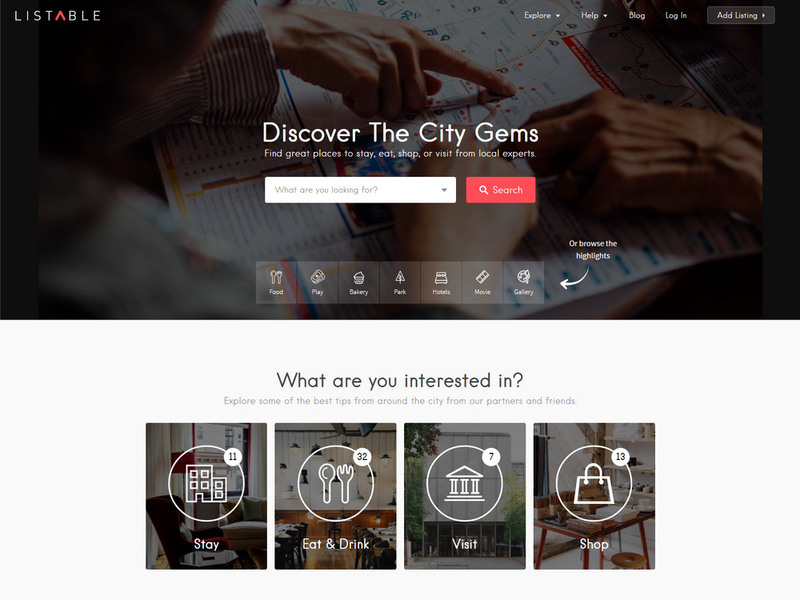 We also put quite an effort to find WordPress themes similar to Airbnb, FlipKey and Homeaway. If you are looking to build a fully functional online directory easily, then Listable is the answer to your question. Besides simplifying the procedure of creating a listing website or directory the developers made sure to add all the vital features required for these types of sites. This helps in refining the overall experience of a user while going through a website like this. The features of Listable have been enfolded in a chic and contemporary design that will convey to the site visitors that, your site is professional and the amenities are provided by your travel site are dependable. There are hundreds of reasons to why you would want to make an online directory. Most of the travel websites these days are powered by directories. Maybe you would want to showcase a list of top restaurants in the locals, or the most beautiful beaches or the place, or perhaps a list of affordable hotels. 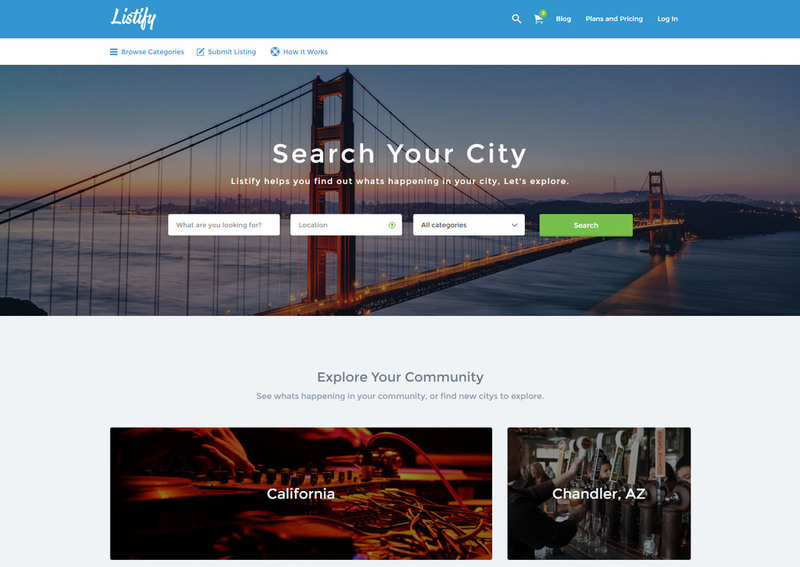 The reasons to create an online directory could be many but the answer is one – Listify. With WooCommerce and WP Job Manager plugin creating the listings and products, the job doesn’t get any easier. It is loaded with a number of free and premium features like gravity form using which you can create customized contact forms or add an OpenTable widget to your restaurant listings. There are a whole lot of features waiting for you to be uncovered in Listify. ClassyAds has a wonderful look and feel that will give your website a reliable and proficient look. This is important if you want to influence your users to sign-up and start posting listings to your website, all the more if you want to monetize your site by indicting a fee for access. ClassyAds is powered by the prevalent WP Job Manager which is a great benefit. As the plugin has already been tried and verified, you can be confident that the listings part of your website will function appropriately. The library of add-ons existing for the WP Job Manager plugin, gives you access to freely add additional features to your website as you want them, rather than having them overcrowded from the onset. This theme has an amazing design and a compact set of features. If you want to make a listings website with WordPress or an online directory, CLassyAds is vastly suggested for you. A 1200 pixel grid system with 12 columns has been used to design the theme of Love Travel. 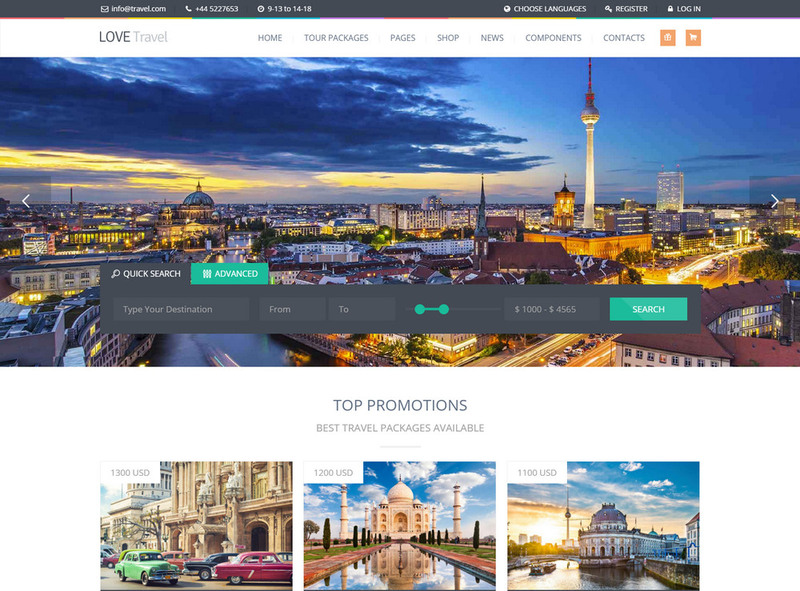 The artistic graphics, contemporary, simple and fresh features of Love Travel Theme are well suited not only for travel agency, travel blogs or tour operators but any business website related to tourism like hotels, cruise travels, honeymoon and many others. You can also use the Love Travel theme for your creative agency. The layout and the exceptional structure of the theme make it possible to call it a multipurpose and multi-page website. You will have customers flocking to your website with such eye-catching themes displayed on your website. 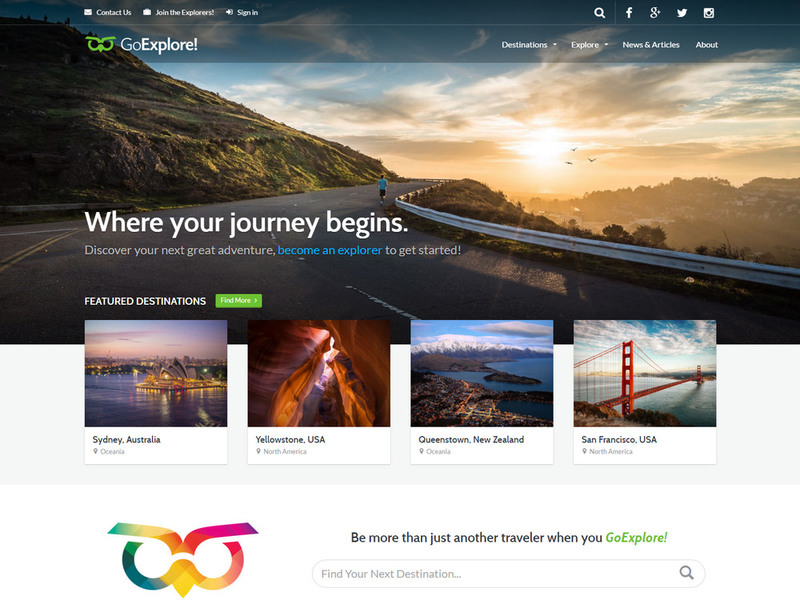 GoExplore has been said to be Super Ultra Mega Responsive by its developers. 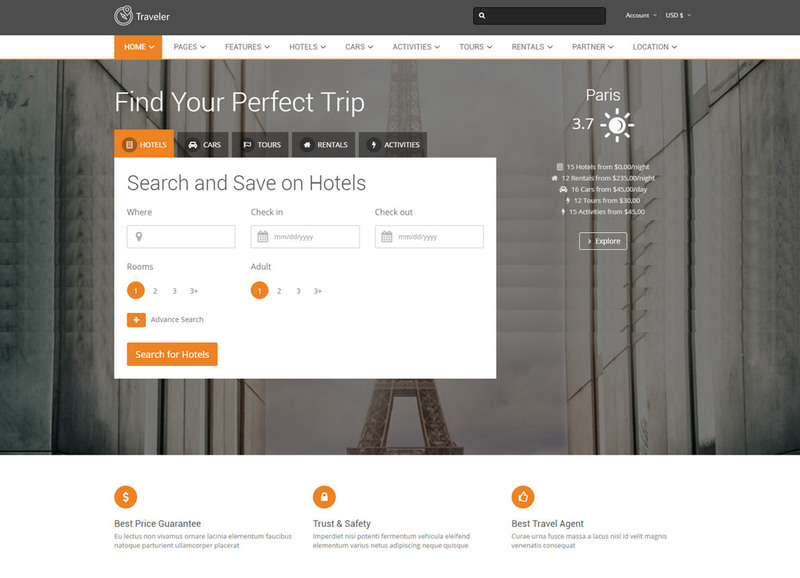 Put in a lot of niceties and let your customers dive into the depth of information on travel destinations that you can provide in the sub-pages. 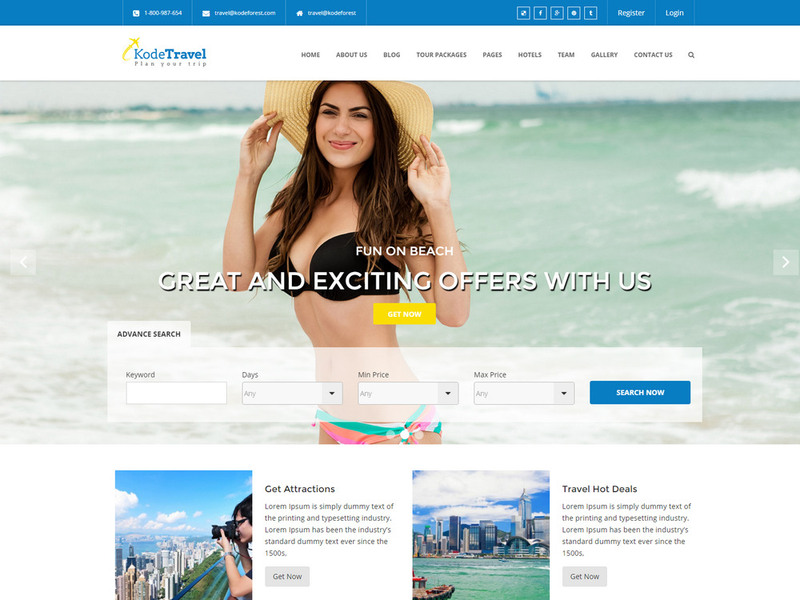 Whether it is a world travel book or a personal travel blog with GoExplore travel HTML templates creating your travel agency website, club, blog or destination is a piece of cake. You can easily create and customize your directory of resources like tours, restaurants, flights and other travel services. GoExplore helps you build a website which will have your visitors coming back again and again. Features like retina supports, Google fonts, AJAX search, responsive design, custom shortcodes and many more make up Altair. 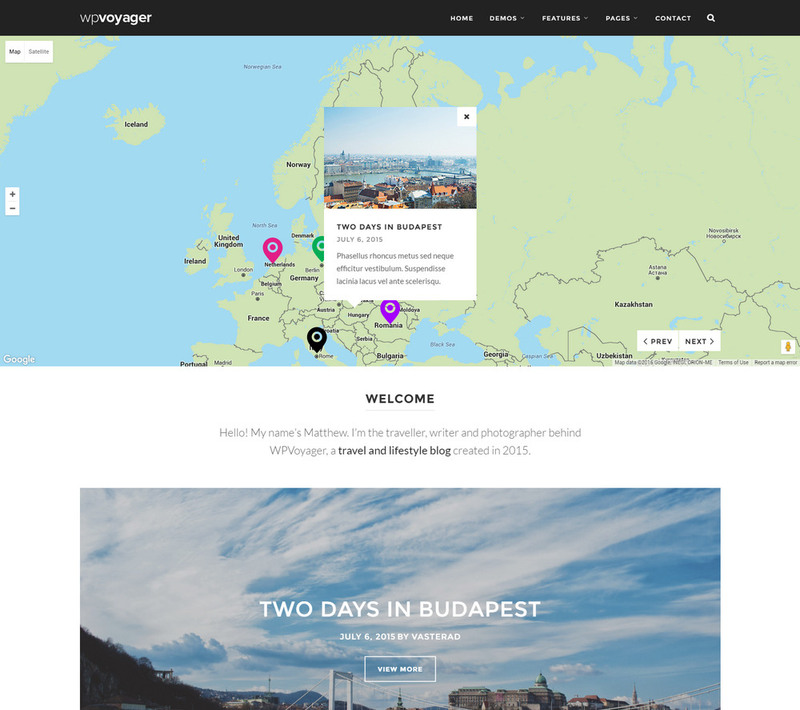 It is a stylish travel and vacation WordPress theme which is just what you need to create a travel and tour guide or booking sites. Another admirable feature is the drag and drop content builder that helps you to easily create custom page layouts. Some of the other features in Altair is the custom post types for tours, team members, services and testimonials makes the adding content simple. You have 6 templates to choose from and unlimited picture galleries. Whether it is a mobile device, laptop or desktop, Travelar has been designed to look decent on all devices. It comes in handy when people are traveling, they can easily browse through your website without having to wait to get near a PC or laptop. Travelar uses single column layout for posts and pages. This draws the focus of the users completely onto your content and stops them from drifting away giving 100% attention to your posts and pages. Some of its notable features are choice of 3 images for the huge header; you can even upload an image of your choice, widgetized footer and custom background. Travelar has been specifically designed for bloggers and diarists and aids them in maintaining a visual diary of their travels. Travelo has a many features that have made it popular among the owner of travel and tour websites. 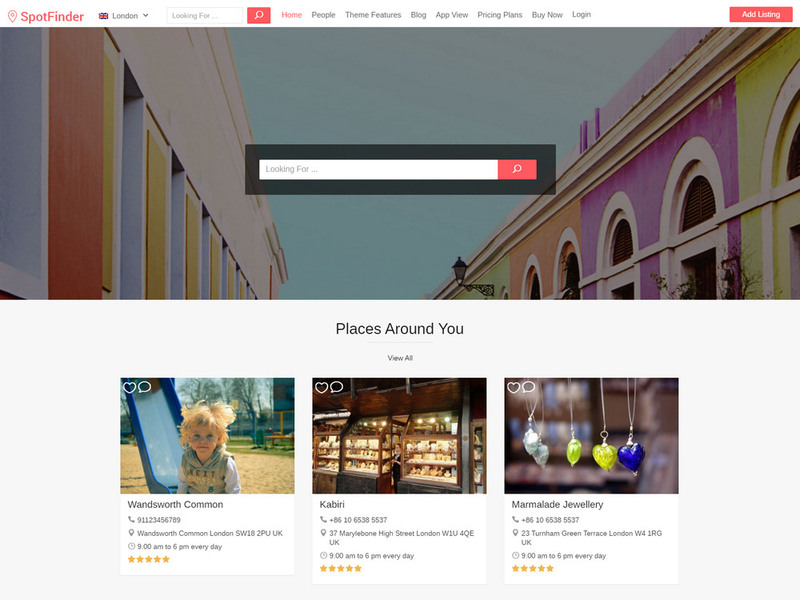 There are 8 homepage versions, around 10 site skins, 6 footer skins, 8 header styles, over 55 shortcodes, Ajax photo gallery, Map popup and tons of such features loaded in Travelo. Despite the many features Travelo is simple and easy to build for your website. Its brilliant booking module makes it stand out and can be implemented for any type of tour and hotel booking. There is also an integrate PayPal Payment System. 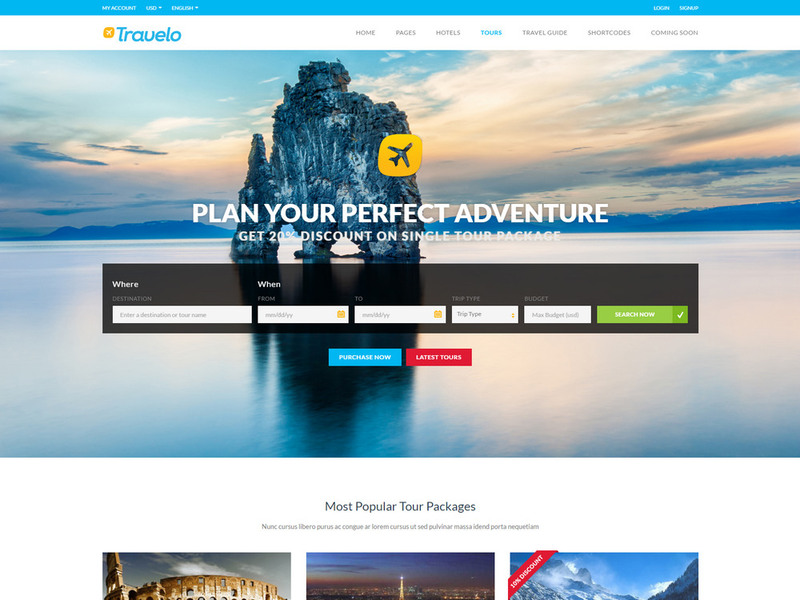 Your users are going to be awe-struck with beautiful Travelo theme, once they visit your website. Name the possibility for any settings and Adventure Tours has it. The theme is integrated with WooCommerce plugin and besides PayPal there are other ways by which the user can pay for the tours. You can even set up a shop and sell various products using Adventure Tours. 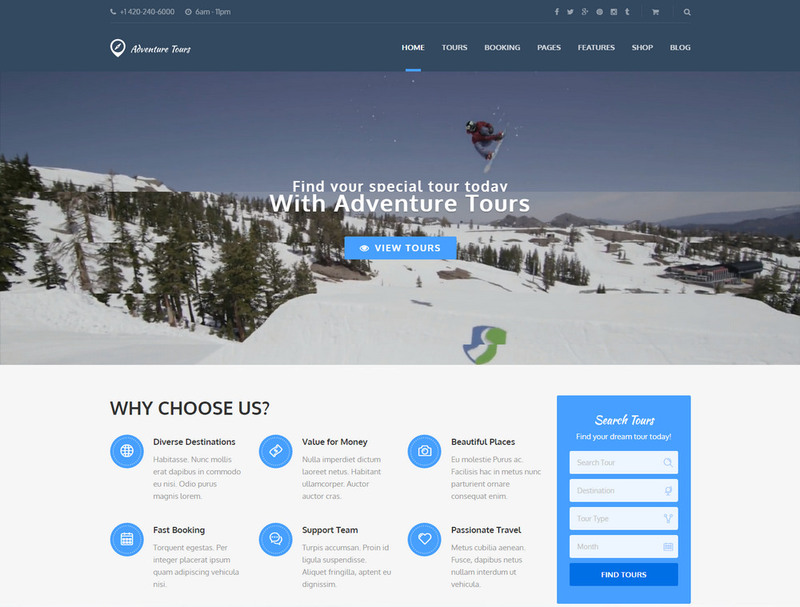 Among the features of Adventure Tours are retina ready design, FAQ page, integrated Mailchips for subscriptions, numerous theme appearance customization options, modern responsive and Revolution slider which is a premium feature and you need to pay for it separately. It also has a tour rating system which lets the customers rate your tours. Bellevue WordPress theme will help you streamline and automate the booking process. You can amaze your website visitors with its stunning design and convert these customers with attractive features like buy pages, availability calendars and built in forms. 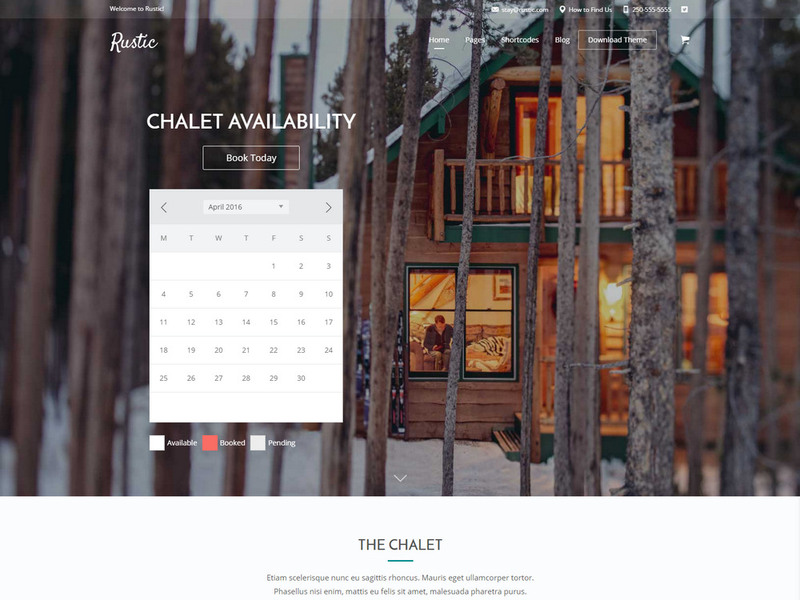 This attractive WordPress theme is one of the best to set up websites for Cottages, Hotels, Beach Houses, Cabins, Chalets and Vacation Rentals. Bellevue has it all. In the updated version there are around 1300 icons, Dark and Light header options, WooCommerce support and much more. It comprises of everything you would want from a premium WordPress theme it will help you to build a splendid Hotel website. 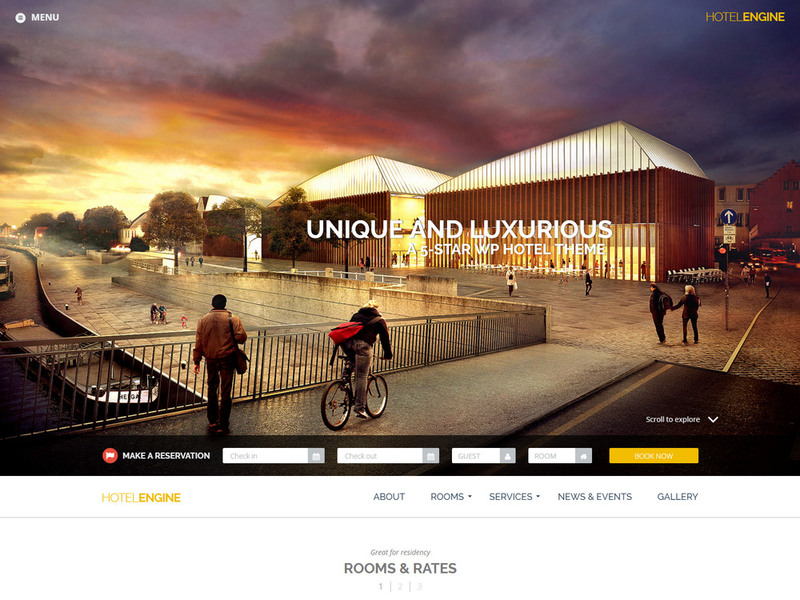 HotelEngine is just what you are looking for your hospitality business. The Direct Bill feature allows you to simplify your business expenses. With Hotel Engine you can assemble all invoices into a monthly bill, which helps you manage them easily and saves you the administrative costs. There in an integration of hotel reviews and ratings offering the users more satisfaction before they book anything. They also have a mobile version for you to download and keep it handy. The admin panel makes it easy for you to manage all the information in your site, like your websites description, social links, title and much more. SpotFinder has been tactically designed to give your website users the finest experience. This WordPress theme helps in creating, managing and monetizing a website for any purpose. You can easily build an online business of displaying listing ads for different businesses such as Restaurants, Car, Hotels, Properties, and Travel Destinations. It offers you a dedicated app option for your website on your mobile device. You just need to enable it and start visit the site on your phone. The theme is multilingual and has been coded as per best of SEO practices. Besides you have Google fonts, colour customizer, list review and ratings, email notifications and many more. KodeTravel offers an enormous selection of shortcodes. They provide diversity to your content without you having to learn any sort of advanced web development or other techniques. You can virtually build almost everything with these one click shortcodes. You can use custom background colours and theme customizer to have endless possibilities. You have the option to create the website in multiple languages, the theme is WPML compatible. You can integrate bookmarks and buttons of social networking sites and the theme can run on all major browsers like Chrome, Opera, and Firefox etc. Solaris is a new and sophisticated theme developed especially for the new, magazines and blogging websites. It is very simple to setup and use Solaris. The theme proposes many features as sidebars, reviews, unlimited color schemes, rich formats, post banners, secure contact forms with reCAPTCHA, Google Fonts and much more. Some of the attractive features of Solaris are built-in image cropping, SEO friendly, built-in social sharing and posts and Multi-level dropdown menu. 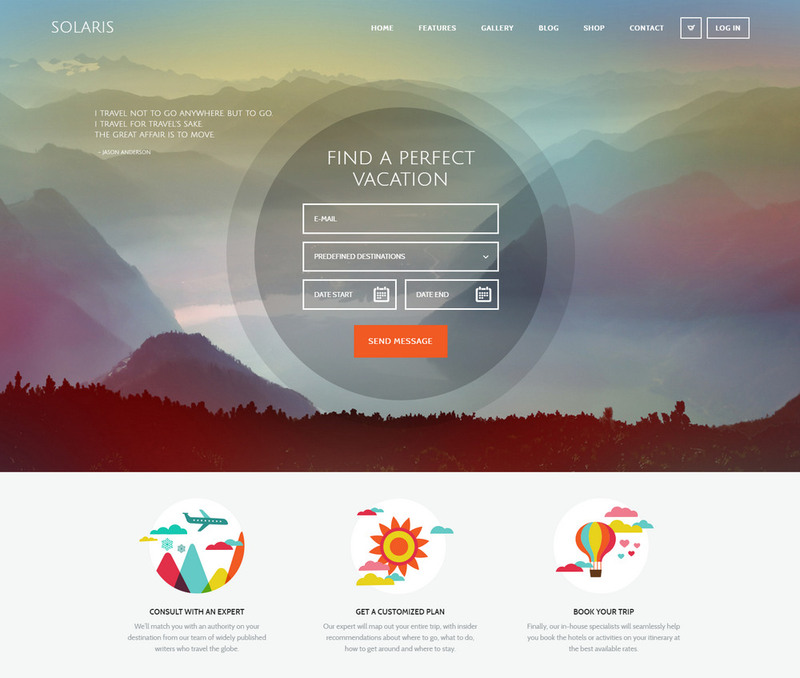 You know your money is well spent if you invested in Solaris for your website. 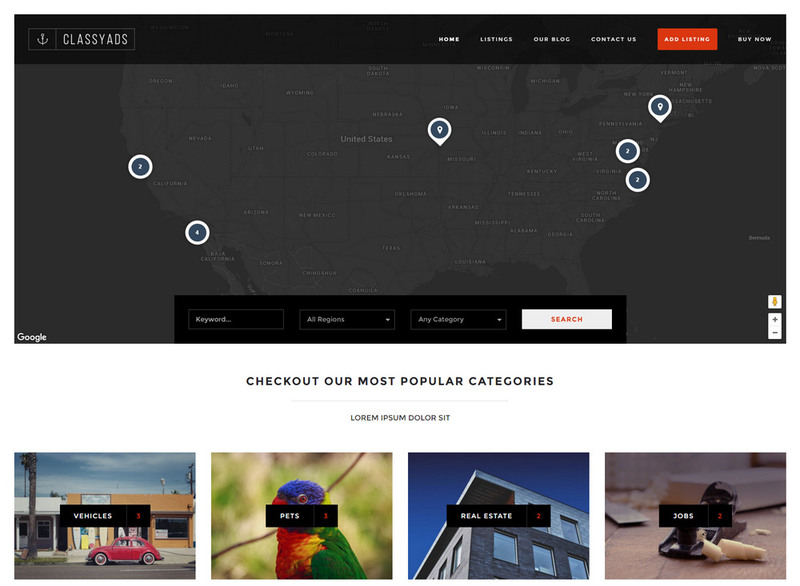 This is the first ever theme with a built-in system for geolocalized information. It is built on the latest framework which gives you the option to create indefinite layout combinations. There are hundreds of options for overlay management and it supports full width captions and slideshows. It is retina ready, and responsive, you can create picture galleries and albums in a snap and display them in your website to impress the users. Integrated WooCommerce plugin 2.1.x and up lets you sell on your website. It supports videos of YouTube, Vimeo and Self-hosted. You can choose from 2 blogs and 3 separate portfolio layout with numerous selections. 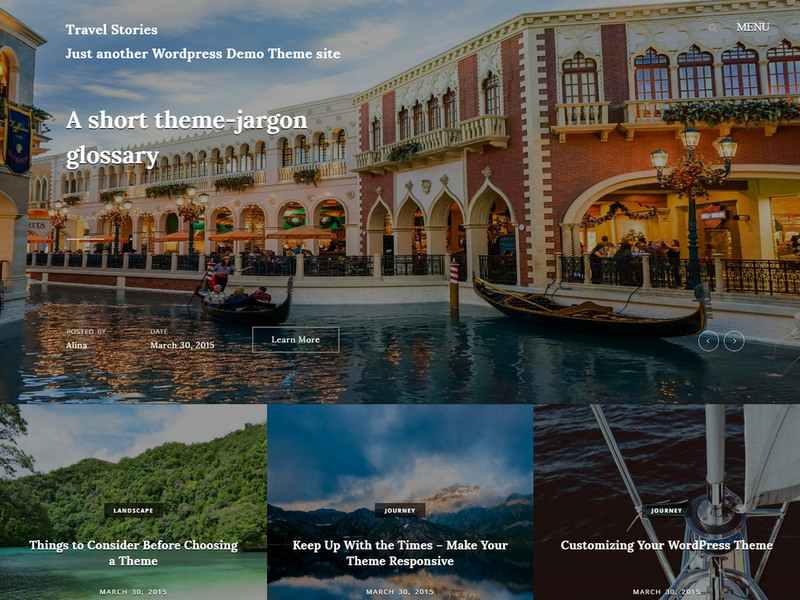 Travel Stories is a splendid and attractive free WordPress theme for photographers and travel bloggers. It features a full-width slider and the posts are reflected in grid style on the homepage of your website. 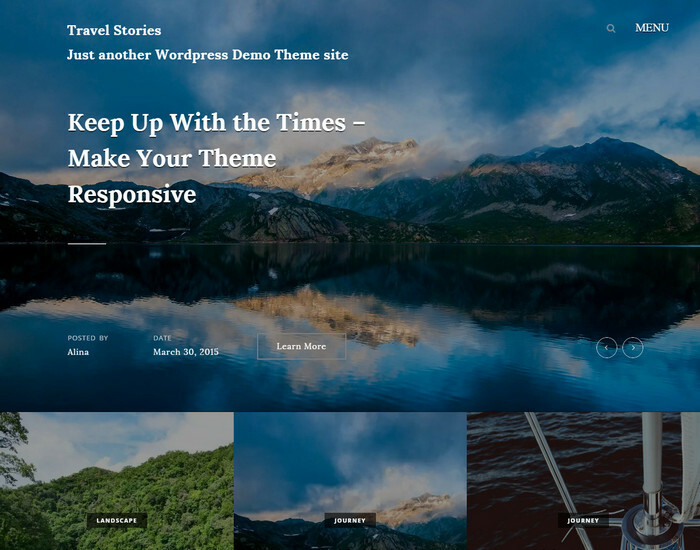 Travel Stories theme also has a full-screen layout and offers a large featured image. It has a minimalistic look and is designed in black and white. The theme’s look is dominated by visuals so you can either use it only for photography or combine blogs with photography. Every post has a big image featured which covers the full screen to that you can showcase your pictures in full dimension.